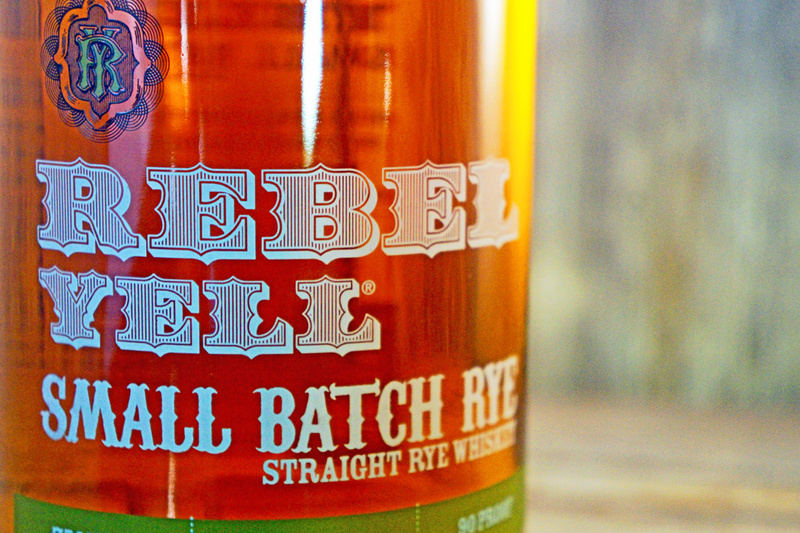 Rebel Yell is a vintage label currently owned and produced by Luxco. 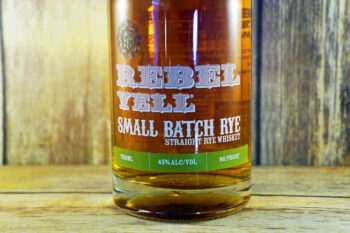 While Luxco bottles and markets an umber of iterations of Rebel Yell and other products, they don’t currently own a working distillery (though Lux Row Distillers should be open very soon), which means this and other Luxco products are sourced. 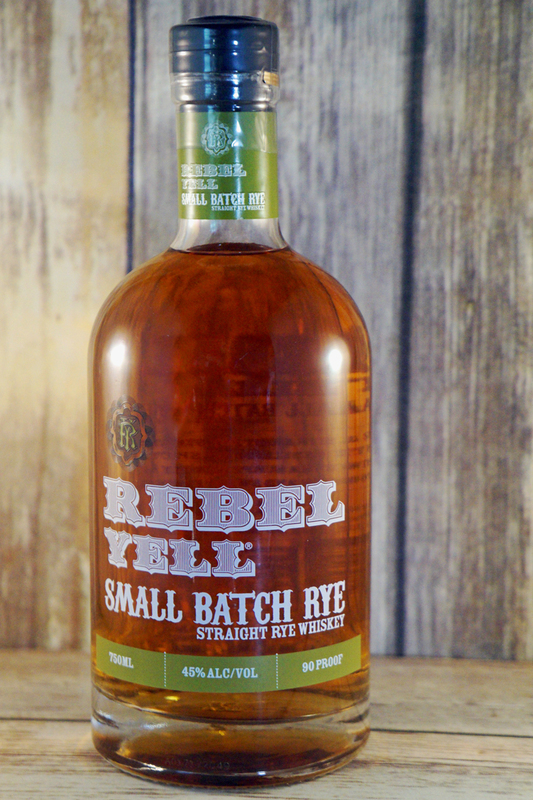 Much, if not all, the bourbon the company produces has been historically sourced from heaven Hill and is highlighted by the outstanding Rebel Yell Single Barrel 10 Year bourbon. 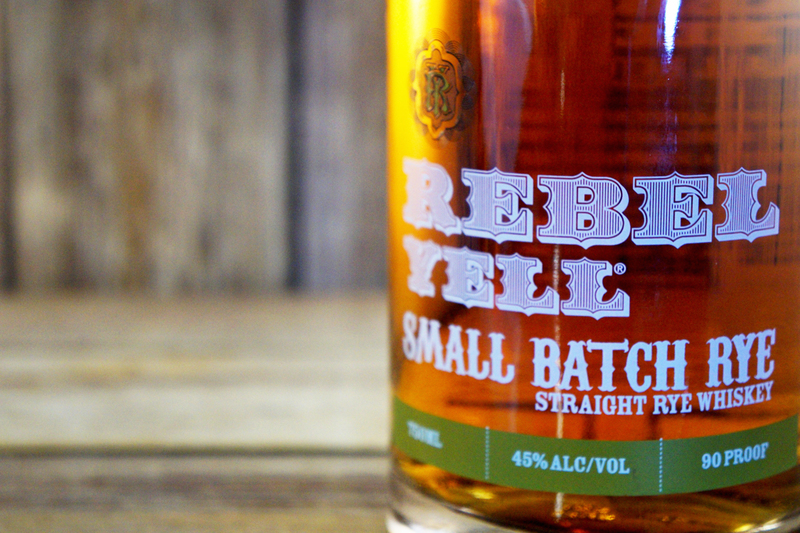 Traditionally, Rebel Yell was a wheated expression, which carries through to the 10 year single barrel bourbon. This, however, is a small batch rye sourced from none other than MGP in Lawrenceburg, IN. It is 2 years old. How this differs from Ezra Brooks Straight Rye, another 2 year old MGP-sourced rye whiskey bottled by Luxco, I can’t say. I will say that MGP is one of my favorite rye distillers, so I always am happy to taste most anything they distilled. Luxco (aside from the aforementioned Ezra Brooks Rye) has recently done an excellent job blending barrels into batches to produce solid whiskeys at great prices. Very light with a reddish tint, though closer to straw than amber. Sweet cherries leap out of the Glencairn, which is not an aroma or flavor I typically get with anything from MGP, which makes me think this might be a very different breed from Ezra Brooks or other similar products. It’s backed up by citrusy lemonade, sweet syrup, and spearmint. There is a burst of caramel on the tip of the tongue, starting the tasting out with more of a bourbon character than typical of a rye. But it is quickly overwhelmed by black pepper, which is a typical rye profile. Unfortunately, absolutely none of the sweet fruits or citrus carried over the palate. This is a one-dimensional sip. Medium in length, the black pepper is still the only flavor prominent enough to get a mention. Where is the fruit? Where is the citrus? This is a flawed whiskey. 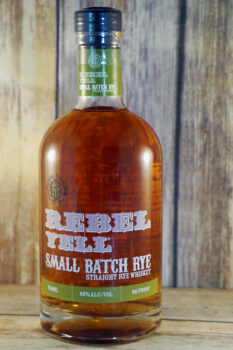 The 95% rye mash bill from MGP is a great distillate, proven time and again by countless bottlers. This format, however, fails to bring out the great citrus and lemon zest flavors that are the distillate’s hallmarks. I think the experience I’ve had with the Ezra Brooks and this show me that MGP needs a minimum of 3 years aging before hitting the bottle. Maybe Luxco didn’t have the luxury of waiting another year with the expense of building their own distillery- I can’t say. 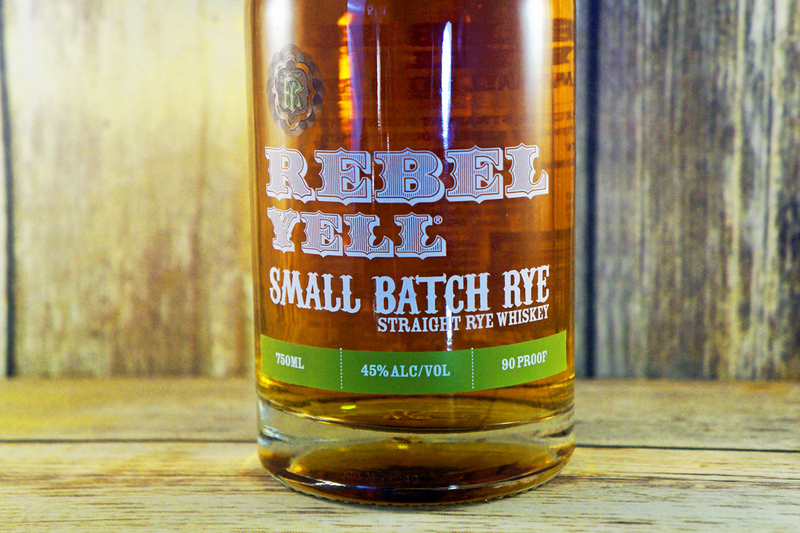 But Rebel Yell Small Batch Rye is extremely one-dimensional, and really shouldn’t serve as anything past a mixer. For the price, that’s not a terrible thing, just don’t expect much from it on its own. If choosing, I’d definitely take the similarly priced Ezra Brooks Straight Rye over this, though neither would be on my short list. *A sample of this whiskey was provided to ModernThirst by the producer with no strings attached. The opinions in this review are our own. While the distillate used in this whiskey has been proven time and again, this format falls well short. It is one-dimensional; lacking depth, age, and flavor.